Protect the screen of your iPhone 8 Plus with this ZAGG InvisibleShield. A two-way filter provides privacy without affecting the touch sensitivity of your device or your view of the screen. The extra-smooth beveled glass on the surface of this ZAGG InvisibleShield lets your fingers slide easily across the touch pad without resistance. 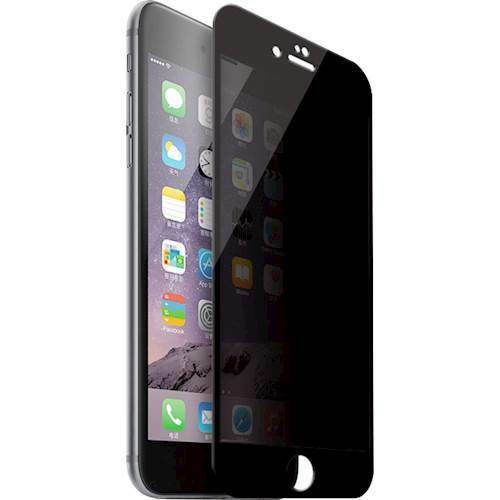 Tempered-glass construction with Ion Matrix™ technology Provides impact and shatter protection while maintaining touch-screen sensitivity. Scratch-resistant design Protects the screen of your device against damage. 2-way, side-view privacy filter Minimizes the risk of prying eyes being able to view sensitive data, helping to keep your information safe. Smudge-resistant and easy to clean Helps keep your screen pristine. Smart EZ Apply™ tabs Make applying your screen protector simple and accurate.